As Executive Vice President for the Assessment and Consulting Services (ACS) group, a division of CBRE’s Valuation and Advisory Services (VAS), Mr. Lind represents CBRE’s Premier Client platform for the Americas. Through the premier client platform, Mr. Lind’s responsibilities encompass both institutional and international clients as well as an alignment with leadership from CBRE’s Global Workplace Solutions, Strategic Accounts, and Capital Markets service lines. Additionally, Mr. Lind is responsible for managing the ACS group’s regional vice presidents throughout the US. 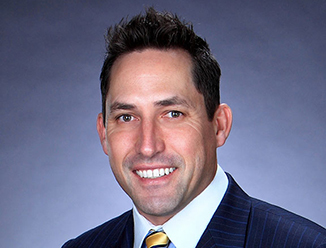 Before running CBRE’s premier client platform, Mr. Lind was the regional vice president for the Western US region, a position he held with the former IVI Companies, prior to their acquisition by CBRE in December 2014. Mr. Lind’s experience in equity-based transactions and review of complex facility assessments is especially valuable to his clients as he and his team are able to provide customized scopes and comprehensive due diligence strategies. Much of this expertise was cultivated during his time as head of Acquisitions and Due Diligence for CNA Enterprises, where he specialized in institutional assets across multiple property types.